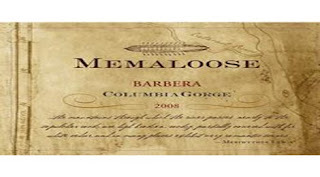 This week's Friday Find is the Memaloose Barbera 2008, from Memaloose Wines in Washington's Columbia Gorge. At $19.99, this wine is right at our Friday Find price point cusp, I know, but it's beautiful and a steal at $20. This is estate fruit and Memaloose used old oak which gives us in the glass a bright, fresh, and frisky Barbera with all sorts of food pairing flexibility. It is a full and unctuous wine with friendly tannin and punchy, changing flavors. The fruit is from two of their estate vineyards; Idiot's Grace and Parker's Vineyard. Drink this! 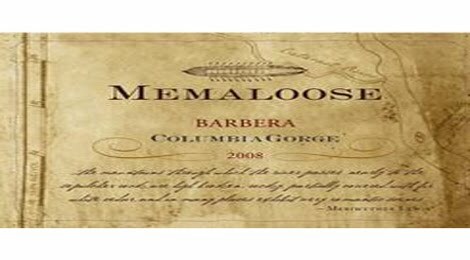 Memaloose winery is located near Lyle 1000ft above the river, overlooking the Columbia Gorge AVA in its entirety. I haven't seen it yet, but I'm dying to go and check it the scenery. The Memaloose estate vineyards produce fruit in each of the five key sub-regions of the Gorge, giving us fruit from both the Washington and the Oregon side of the AVA. Winemaker Brian McCormick shares their modus operandi on their website and says, "We are devoted to the expression of the site (above all) and the vintage and the specific nature of each grape variety." This intent is a success, I would say, based on the wines themselves. Memaloose also produce a white blend called Trevitt's White, a Cabernet Franc that's more than awesome, and a red blend called Mistral Ranch Red. Definitely make it a point to try the wines of Memaloose, they are solid, varietally expressive and delicious.